Louis Vuitton held a press preview of their Fall/Winter 2019 Collection shortly after the runway show. Guests gets to see their latest collection.. 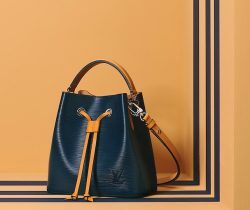 Introducing the Louis Vuitton Fall/Winter 2019 Runway Bag Collection. As always, Paris Fashion Week ended with the Louis Vuitton show. Nicholas Ghesquire takes..
After the successful Men’s Fall/Winter 2019 runway show, Louis Vuitton held a press preview of their latest collection. Close up of the new..
Virgil Abloh has just presented his second collection for Louis Vuitton at the Grand Palais in Paris. Abloh pays tribute to the King..